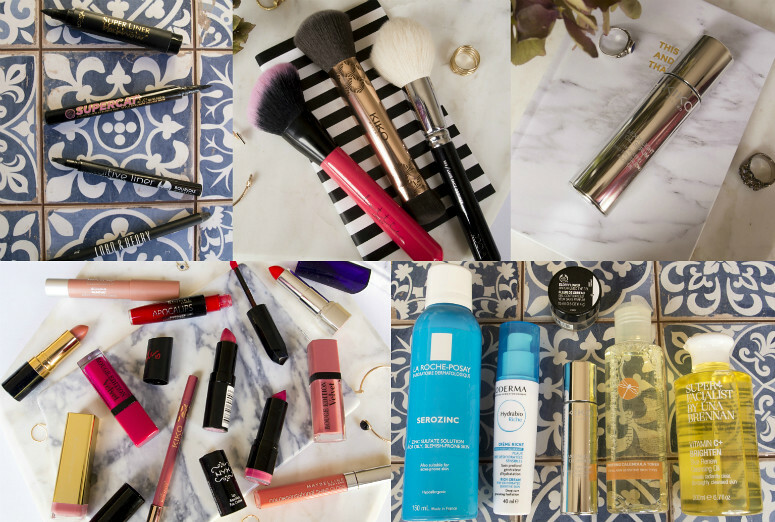 Another month has almost completely gone, and with it, my Budget Beauty Month Series has come to and end. It's been an interesting journey for me; not only have i managed to push myself out of my comfort zone with different products, I've managed to see that just walking a little bit further during my lunch break, ie to the nearest big Boots rather than the Space NK round the corner, that gems can be found at all prices. No, not everything that I tried and used during this series has wowed me or made me swear off the temptations of the high end spectrum, but it has taught me that a certain level of open-mindedness and willingness to go through mud to find pearls can pay off. That's far from saying the budget end of beauty is full of duds, far from it. If anything, I've learnt that there are lots to cater to every taste, you just have to find the things that really do it for you. I think the thing that I learnt most is that the mid to high-end range do more exciting skincare that I prefer using. There are some exceptions which I've covered in my shoestring-skincare post, including a renewed love of the Una Brennan Superfacialist range. The things I think the budget market excels at is the colour side of things, such as lips nails and even blush. I didn't get to talk about Barry M nail polish, which aside from Essie, provide my budget polish fixes. In fact, there's a few more things I didn't manage to fit into my posting schedule for this series, which I'm going to have to write about at a later date. I really did think I wouldn't have enough to write about for this series, but I ended up with too much! I think that in writing this series, I've done myself the biggest favour, even more so than for readers, because I've opened my budget horizons a bit more, and am more willing to use even the cheapest things that I wouldn't really have given much thought to before. I may not be sold on certain things, and will still be picky about certain things (if the fragrance part of things like blushes and things were toned down, then I'd be less picky I think) but I'm now far more willing to give more budget things a go, which will be a win for me and my wallet! I hope everyone who followed the series through or even just dipped in and out found the series helpful! If you have any other budget recommendations for anything, then I'd love to hear them so that I can add them to a list of other budget things to give a go. All the comments I've received during the month have been really helpful in pointing me towards brands and products I've not tried before, so thank you for them!